Last updated on June 9, 2011 January 21, 2014 by Mike Thomas for Armagard Ltd. 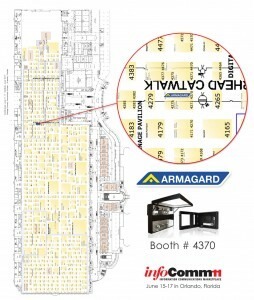 Following on from exhibiting our products DSE 2011 in Las Vegas, and ScreenMedia in London, Armagard will be joining the biggest gathering of the Audiovisual industry at InfoComm 2011 in Florida. InfoComm 2011, taking place June 11-17 at the Orange County Convention Center in Orlando, Florida, is by far the largest trade show of its type with 950 exhibitors and expected crowds of over 32,000 people. These InfoComm events are an important date for companies involved in audiovisual communication, digital signage/advertising and with the increasing prominence of cloud based SaaS (software as a service) platforms, IT professionals are also keen to attend. 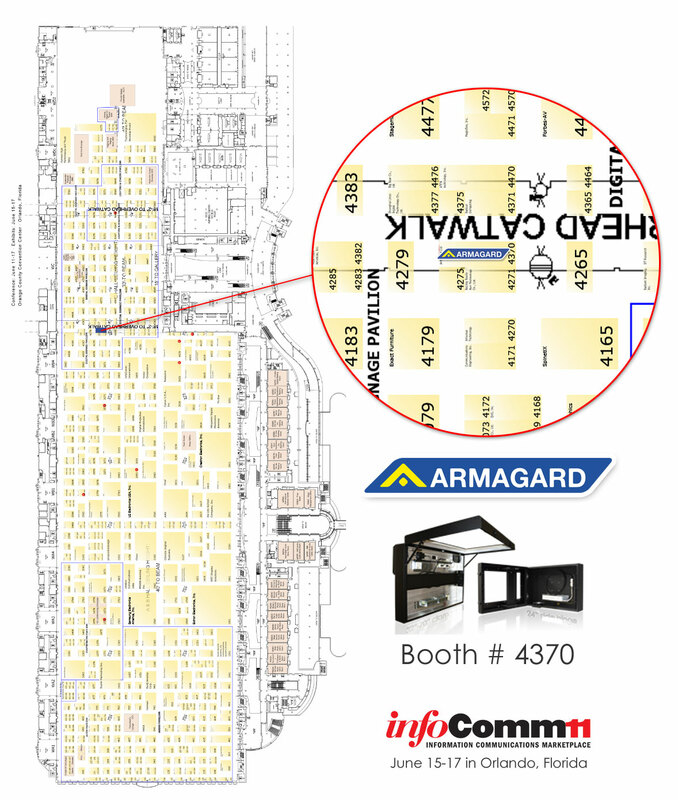 The Armagard team will be at InfoComm 2011, so if you intend on visiting InfoComm this year, we will be demonstrating our digital signage products and LCD enclosures, so please stop by and visit us at booth #4370 (see map below). We will also be unveiling two new products that we have added to the Armagard range!